We’ve gone all Welsh on you tonight on British Trams Online! Another tramway which doesn’t often feature on these pages – mainly because it normally just operates with very little incident – is the unique Great Orme Tramway in Llandudno. 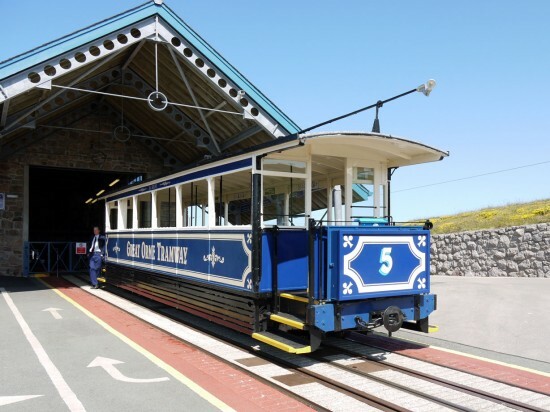 Running in two sections between the town of Llandudno and the summit of the Great Orme the tramway is the only cable hauled tramway still operating on British public roads. 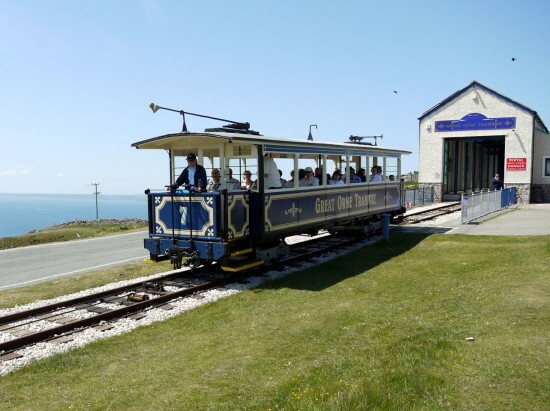 The Great Orme Tramway has been operating since 31 July 1902 although the first passengers were not carried until 8 July 1903. There are four trams in the fleet with numbers 4 and 5 operating the lower section and 6 and 7 the upper section. Trams run every 20 minutes from late March to early October each year between 1000 and 1800 each day (during March and October services end an hour earlier at 1700). 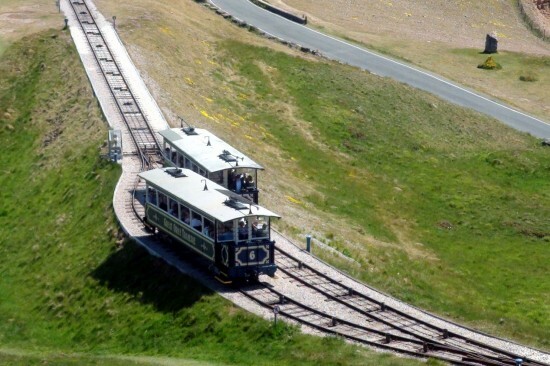 Photos provided by Ken Walker on a fine June day show the Great Orme Tramway at its best. Number 4 - named St Tudno - is caught on the Old Road. 4 again, this time as it departs Halfway Station where passengers have to change trams to continue their journey. Number 5 - St Silio - is also seen at Halfway Station. The two upper section vehicles pass: 6 and 7. 7 - St Trillo - departs the Summit station. 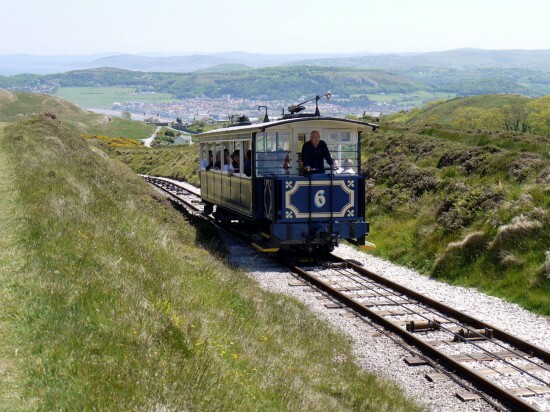 This entry was posted in Great Orme Tramway. Bookmark the permalink. A great tramway to visit! 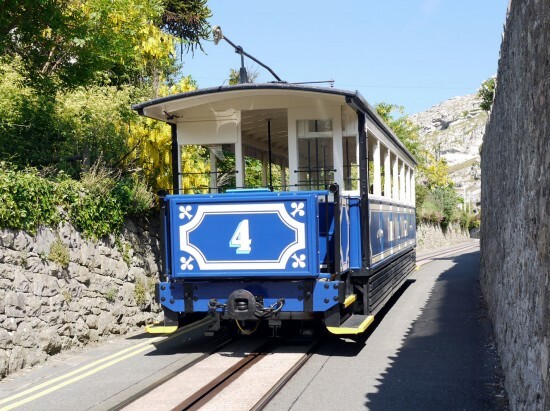 and Llandudno is lovely as well, it is just a shame the seafront tramway is now long gone. 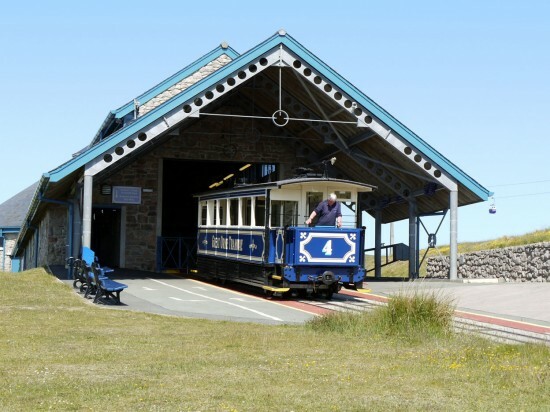 For those brave enough to brave the sea gales, there is also the cable car from the Great Orme down to the town. Sadly my partner did not want ot do that, so I aim to make an excuse to go back for another tram ride and the cable car!